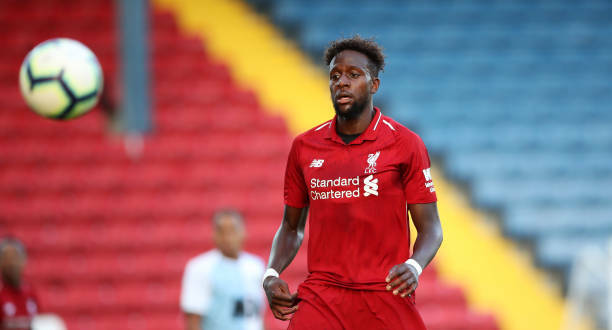 Liverpool outcast Divock Origi could be offered a chance to play first team football this season by Galatasaray. A source close to the Lions revealed to Turkish-Football that the club are continuing efforts to find a replacement for Bafetimbi Gomis and that Origi is among several names on the shortlist. Galatasaray are preparing a January loan move for the Belgium striker to add depth over the second half of the campaign. The Yellow-Reds could offer Origi Champions League football if they make it to the next round of the competition. Origi has not been named in the Liverpool Champions League squad so would be able to register for Galatasaray. Gomis scored 32 goals and provided six assists last season but Galatasaray failed to find a replacement. The French forward played an important role in the Lions lifting the league title for a record 21st time. The Istanbul giants currently have one first-choice striker Eren Derdiyok who is out injured. Head coach Fatih Terim has been forced to play winger Sinan Gumus as a makeshift forward. Origi was linked with a summer exit but ended up staying at Anfield. The Mirror reported in August that Liverpool wanted £27 million for the striker amid interest from Borussia Dortmund. The 23-year-old has however, failed to make a single appearance for the first team and has been relegated to the reserves. Origi has just one goal and a single assist in one Premier League 2 appearance. Galatasaray are currently first in the Super Lig and third in the Champions League Group D on three points.